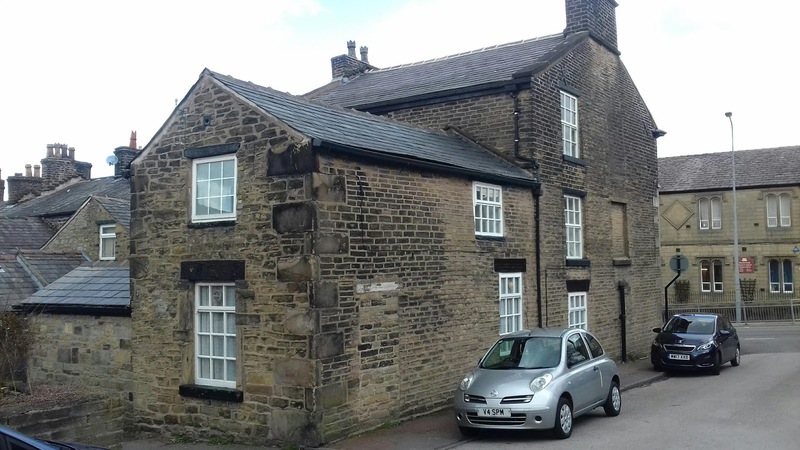 The Horseshoe Inn took its name from the livelihood of its original occupant, Alfred Sidebottom who was a Blacksmith. 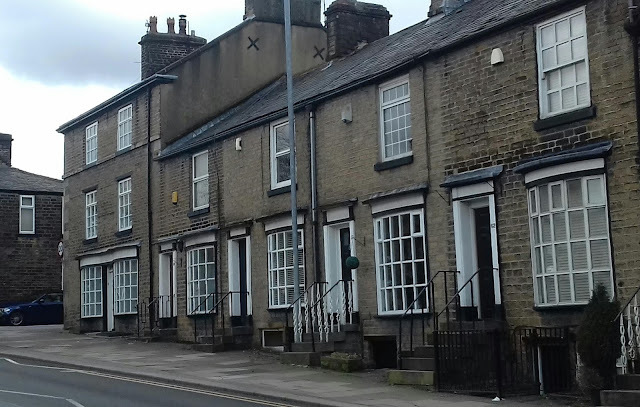 It opened some time in the 1860s and was located on the corner of Church Street and Chapel Street on the end of a row of Horwich clubhouses. The early census records are slightly confusing as the pub appears to be next door to the old post office on the enumerator's route but directory records and later censuses confirm its postal address was 41 until the late 1870's, had moved to 45 by 1881 with the building of two new cottages on the opposite corner of Chapel Street and finally was renumbered as 54 in the mid-1880s following a change in the street's numbering (it was reversed) as the town rapidly expanded in the second half of the 19th century. 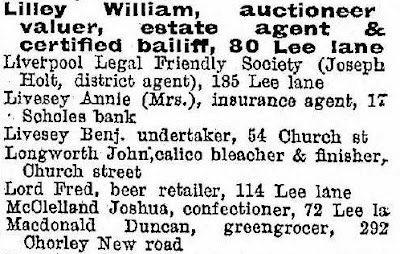 Listed landlords at the Horseshoe were Alfred Sidebottom (1860s-81), William Booth (1881-01) and Benjamin Livesey (1905-11). 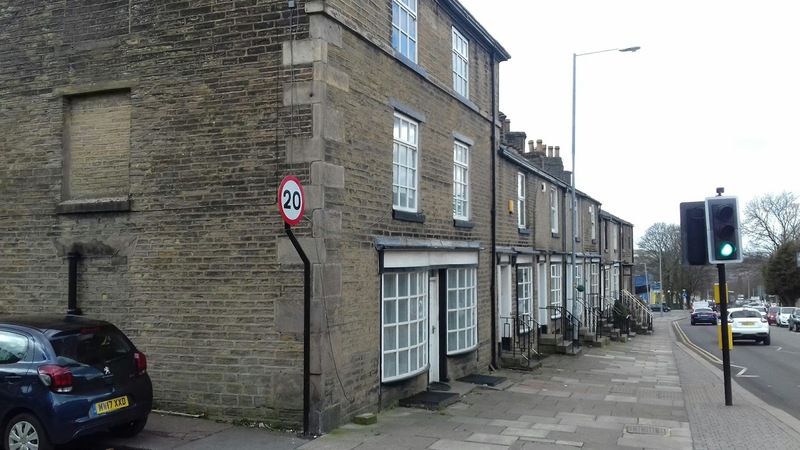 Instructed to apply at the adjourned Licensing Sessions. BILLIARD AND BAGATELLE LICENCES. Alfred Sidebottom, the Horseshoe beer house, Horwich, and James Ainscow, of the New Inn beerhouse, Westhoughton, applied for a billiard and bagatelle licence. 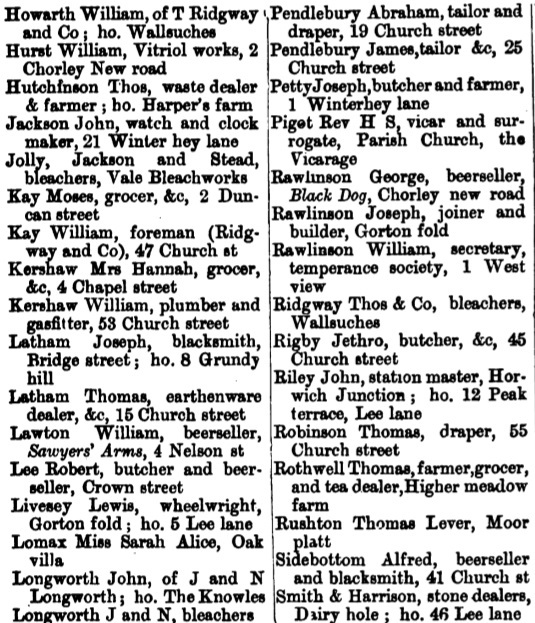 1876 Post Office Directory records Alfred Sidebottom as a beerseller and blacksmith living at 41 Church Street in Horwich. 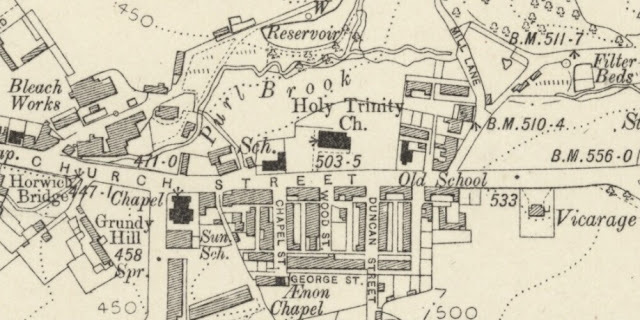 At that time the numbering system on Church Street was not as it is today; the Black Bull (now No.69 Church Street) was then No.8 confirming the fact that the Horseshoe was on the same side of the road as the Brown Cow, which was No.27. 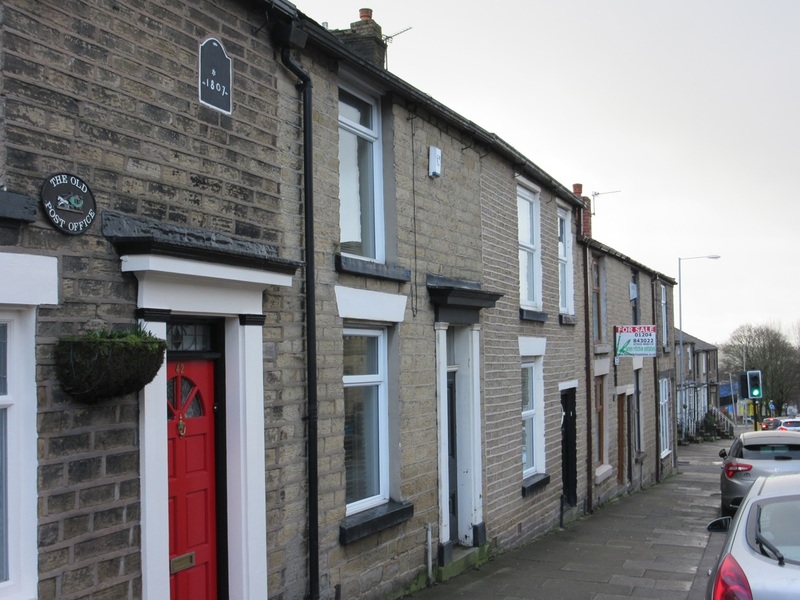 Horseshoe, Horwich from Alfred Sidebottom to William Booth. 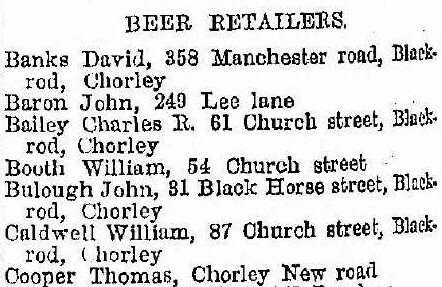 Whether Benjamin Livesey actually ran a beer house from 54 Church Street is speculation only at this time. 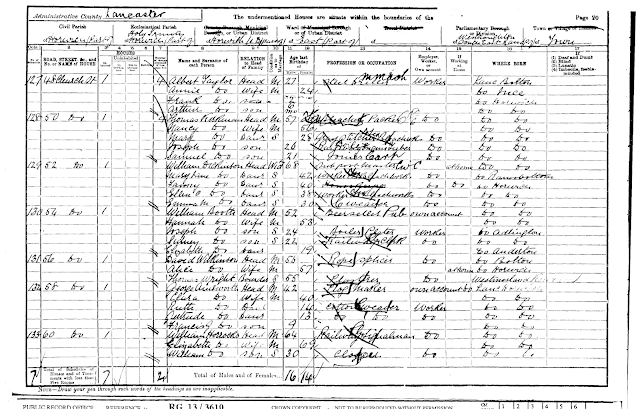 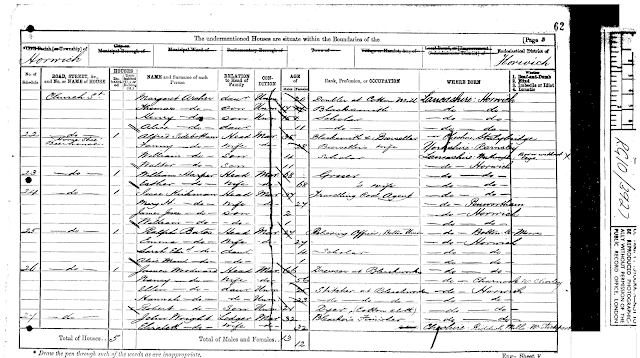 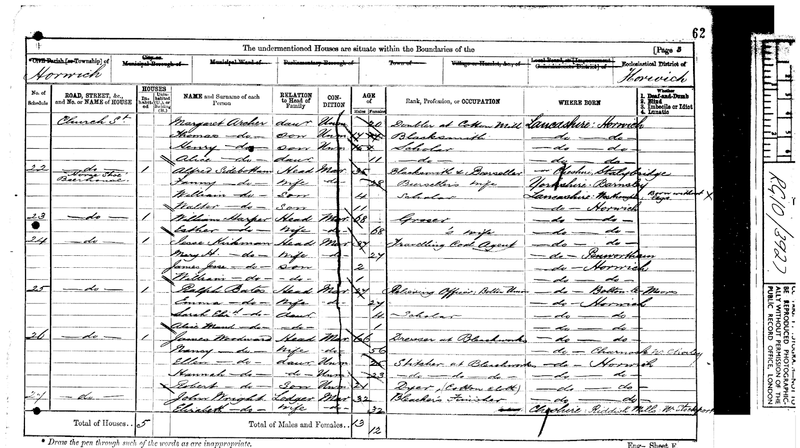 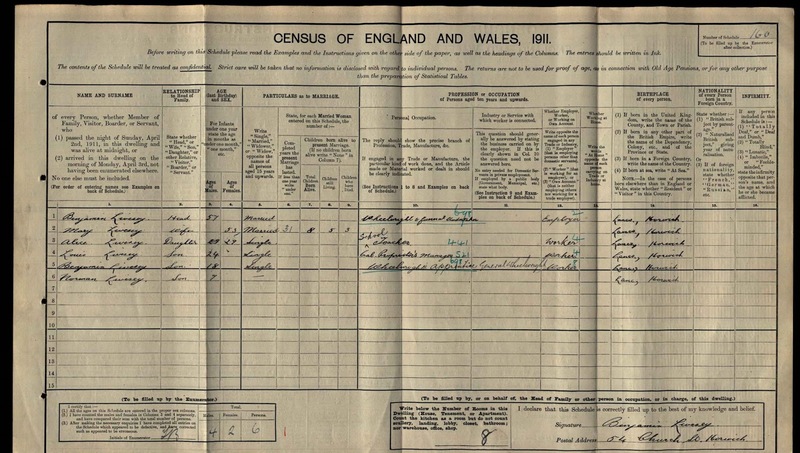 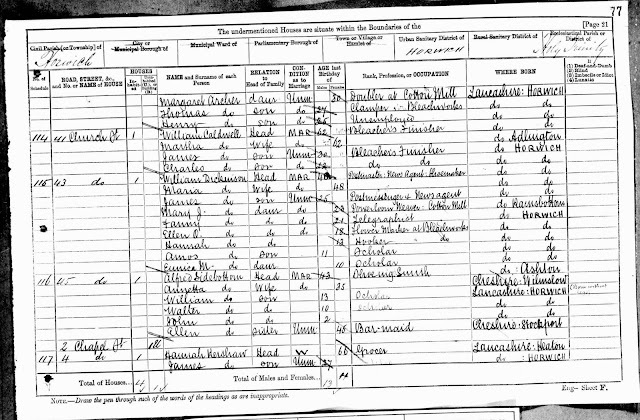 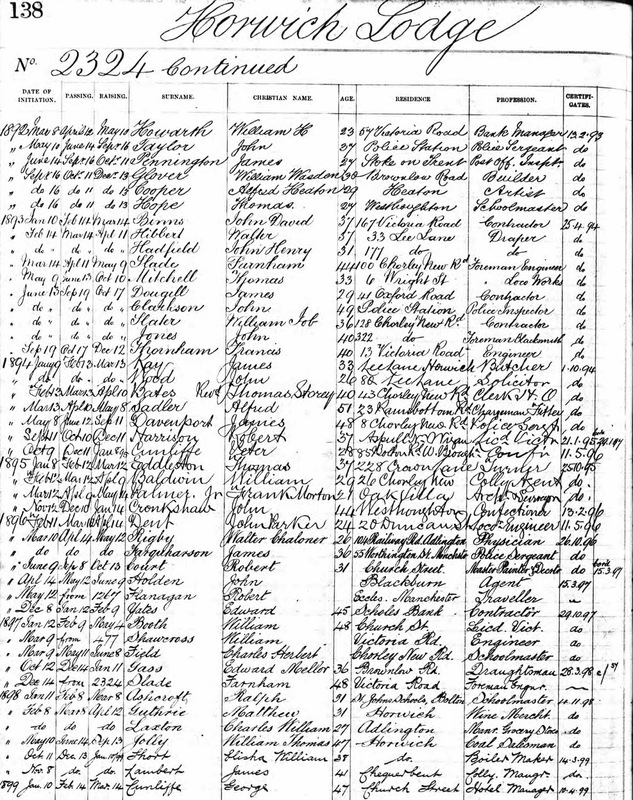 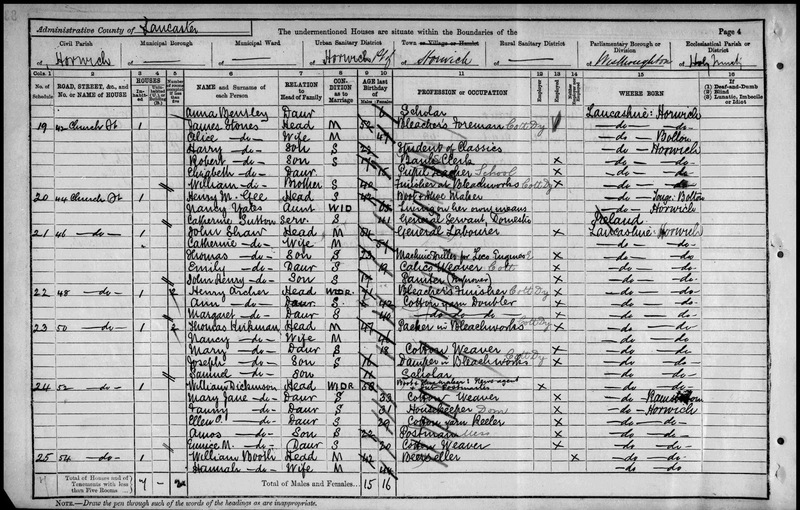 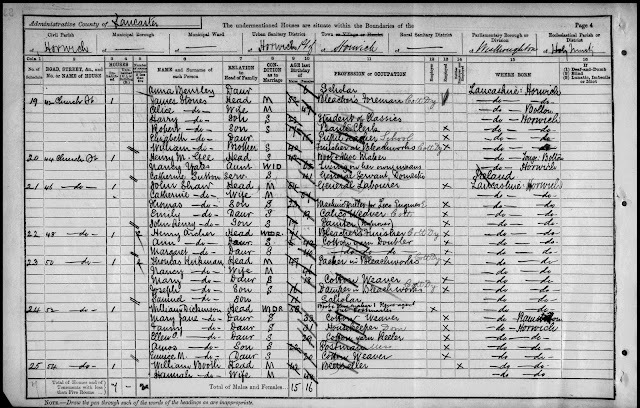 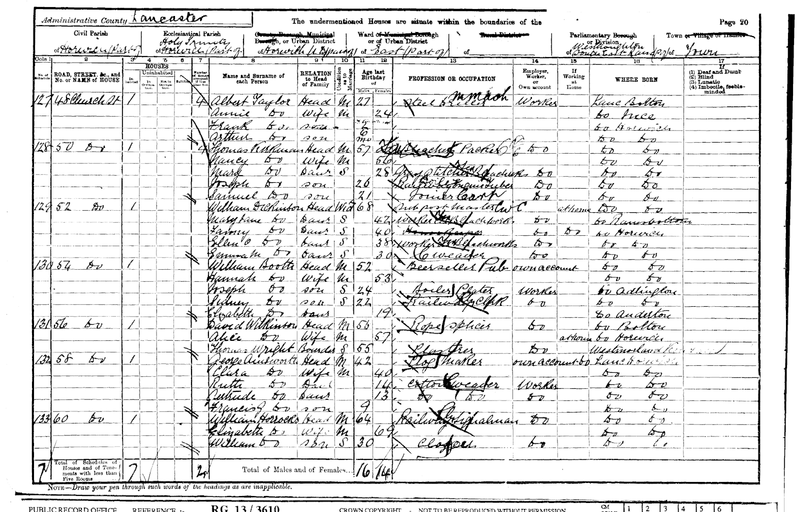 The previous tenant, William Booth clearly did until the early 1900s but the census in 1911 and directory record above provide an occupation of "undertaker" for Benjamin. 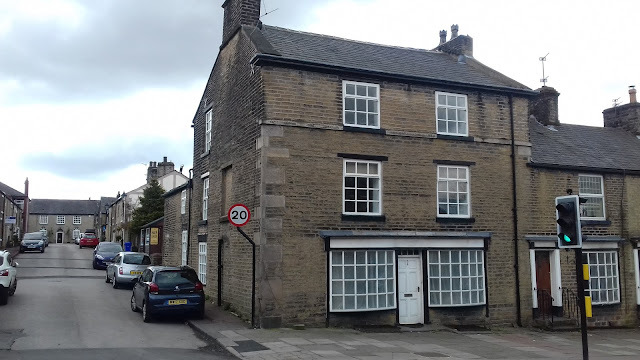 It is certainly likely that the license of the Horseshoe had been removed and the building, with its ample cellarage was an ideal location for an undertakers to take up residence. This theory is supported by the effects of legislative change on pubs across the UK around this time. The 1904 Licensing Act reduced the number of licensed premises, in particular those re-issued to beer houses over the next few decades. Supported by a national surge in the Temperance movement the Act introduced a national scheme where Licensing Magistrates could refuse to renew a licence if it was considered there were too many pubs in an area or they were not of sufficient quality. 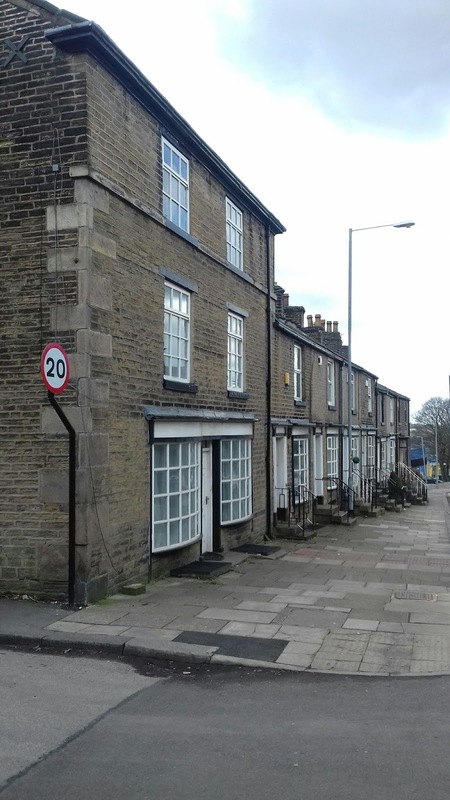 In the Horseshoe's case, there was the Black Bull opposite, the Brown Cow a few doors up the street and the Sawyer's Arms on Nelson Street all within a stone's throw so the license may well have been refused.